Jack D. Connell (October 20, 1924 – February 16, 1994). Jack Connell was born in Alabama and attended Glencoe High School in Gadsden, Alabama, where as a student, he started the school band program under the supervision of Dr. Mort Glosser, Director of Bands at Gadsden High School. From 1943 – 1945 Connell served in the United States Army fighting in the European Theater. After his service to his country, he completed his BS degree in Music Education at Jacksonville State Teachers College in Jacksonville, Alabama.Mr. Connell began his teaching career in 1950 with the Maryville Tennessee City School System, where his bands were consistently rated superior in all phases of musical performance. In 1963 he was selected as the Supervisor of Instrumental Music for the Knoxville City School System. He served in this position until 1987, and during his tenure he promoted Knoxville bands to a nationally recognized level of excellence. His advanced degrees include a Masters degree from the University of Tennessee at Knoxville and an Honorary Doctorate from the Mexico City Conservatory of Music, Mexico. He was a member of NBA, M.E.N.C., and E.T.S.B.&O.A. and was a member of Phi Beta Mu, a national fraternity for outstanding bandmasters. Mr. Connell was in demand as a clinician and adjudicator in Mexico, Europe, and throughout the United States. He and his wife, Nelle Thomas Connell, were the parents of three children: William Jackson, Kimberly Connell Hill, and Mark Thomas. Mr. Connell’s influence was instrumental in the development of band programs in the eastern part of Tennessee and his love for band and band music was legendary. 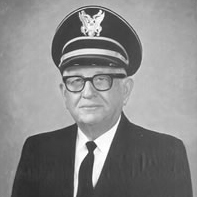 O’Dell Willis, a native Kentuckian, was the band director at Central High School in Knoxville, Tennessee from 1937 to 1971. Prior to his tenure at Central High School he was the band director at Harlan, Kentucky from 1930 to 1937.For 42 years O’Dell played an important part in the band movement as a conductor and an adjudicator at public school music festivals and contests, co-director of the Smokey Mountain Summer Music Camp in Gatlinburg, Tennessee and director of state and clinic bands throughout the Southeast. He was truly one of the pioneers for instrumental music in the state of Tennessee.In addition to the distinguished record of fine bands throughout his career, O’Dell was active in many professional and honorary organizations. He served on the Board of the National Band Association and the Music Educators National Conference. He was an active member of the American Bandmasters Association, Phi Delta Kappa, the honorary educational fraternity at the University of Tennessee and ETA chapter of Phi Beta Mu. 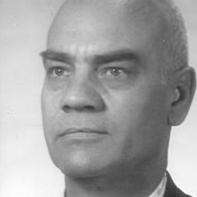 He served as president of Phi Beta Mu in 1952 and President of the East Tennessee School Band and Orchestra Association 1942-46, 1949-51, and 1959-61. O’Dell was elected an honorary life member of E.T.S.B. & O.A. He also served as president of the Tennessee Music Educators Association 1962-64 and selected honorary life president in 1971. His capability as a director and clinician earned the respect of musicians throughout Tennessee and he was sought after by those seeking advice and counsel. His former students respected him not only for his ability to impart a musical experience but he also set an example for his students in citizenship, character, responsibility, and integrity.